Excessive sweating is one of the oldest known dermatological conditions. Roughly 1% of the world population is affected by it. The condition has a significant negative impact on the quality of life. Excessive sweating results from excessive sympathetic stimulation of the eccrine sweat glands. Some herbs, such as White Peony root and Astragulus, have been found to be very useful in the treatment of excessive sweating. In this article, we will make you aware of the major natural herbs that are used to treat excessive sweating. Sage (Salvia officinalis)Sage, botanically known as Savia Officinalis, is a small-sized evergreen shrub, which belongs to the mint family, Lamiaceae. The herb is native to the Mediterranean region, where it is commonly grown as a kitchen or medicinal herb Modern evidence on Sage establishes its properties as an anhidrotic, antibiotic, antifungal, astringent, antispasmodic, estrogenic, hypoglycemic, and tonic. 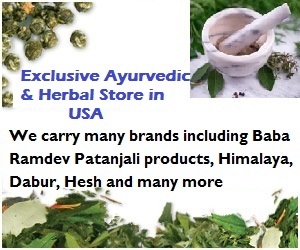 It is believed that the herb is very effective in reducing sweat production in the body. Regular consumption over time can give excellent results in a range of other ailments as well. White Peony Root (Paeonia albifloria)White peony root, also known as Chinese Peony root, belongs to the Paeoniaceae family and is grown extensively in China. It is a perennial herb that grows to a height of 50-80 cm, with a stout branched root. Its leaves are alternate and bi-alternately compound, while the leaflets are narrow-ovate or elliptical. The plant has red, white and purple flowers. White peony root is known to be very effective against spontaneous sweating due to exterior deficiencies as also against night sweating due to yin deficiencies. For spontaneous sweating, the herb is used with the cinnamon twig and for night sweating, it is used with oyster shell, arborvitae seed etc. AstragulusAstragulus is a large genus, which covers about 2000 species of herbs and shrubs, all belonging to the Fabaceae legume family. It grows in the temperate regions of the Northern hemisphere. Other common names for Astragulus are milk-vetch, locoweed and goat's-thorn. The herb is an amphoteric to sweating and increases or decreases sweating as needed. It is also medically recommended for treating spleen deficiency symptoms, such as diarrhea, fatigue, sweating and a lack of appetite. It is even used as a tonic for the lungs and is effective in remedying conditions like shortness of breath, asthma and chronic lung problems. Schisandra Berry (Schisandra chinesis)Schisandra chinensis is a deciduous woody vine that is found in forests of Northern China and the Russian Far East. The berries from this plant are one among the 50 fundamental herbs in Chinese medicine. Schisandra Berry is considered an adaptogen, which helps to normalize the functions of the body during stressful situations, when those functions can be affected. It helps to build body’s resistance to diseases and stress and serves to reenergize RNA and DNA molecules. In China, the berry has long been used to control night sweat.